← *Featuring: YOUR Winter Whimsys! As promised, here’s the stash of goodies! 😀 The prizes for the winners of the End of the Year Bash at the Gettin’ it Pegged Chat Clique (for the winning names of: Kelly Jones, Lisa Anderson, Karen Mentzer, and Jeannette Pirkle), as well as the January Loom Along (the winning name of: Carol Williams), are these brand new, hot off the press, canvas stash bags…aren’t they so cute?? Congratulations ladies… I hope you like them! I hope to include more goodies in the line, like the shirt you see in the corner, and other little items that strike my fancy and cries out to be printed up, lol. I’m wondering, though, if you’re as enamored as I am with these little items… is this something that you would like to own for yourselves, even it meant parting with a little bit of pocket cash?? Thanks again for your honest input…Happy Looming All and again, BIG CONGRATS to the Winners! This entry was posted in Contests, Gettinitpegged Gear, Goals, Loom Knitting. Bookmark the permalink. I love these, I would like to get more, Does the T-shirt come in a 1X? Those bags are so cute with the cloth ‘belt’. I’m excited to get it in the mail now. It makes my hand itch to loom again. My surgery went well. Now to heal quick and loom again. You made up a very cute design, I like both. I love it!!!! I would definitely want a tee and sweatshirt (hoodie too maybe). Very cool idea. I can’t wait to get mine!!!! HOW CUTE!!!!!!! And useful too. LOVE !T! Those bags & shirts are awesome, Bethany! You need to make those available for purchase. Did you design the logos? Duh…I got so excited looking at the pictures that I posted a comment before reading the whole post & poll. oh wow, very nice prizes, congrats to the winners!!! 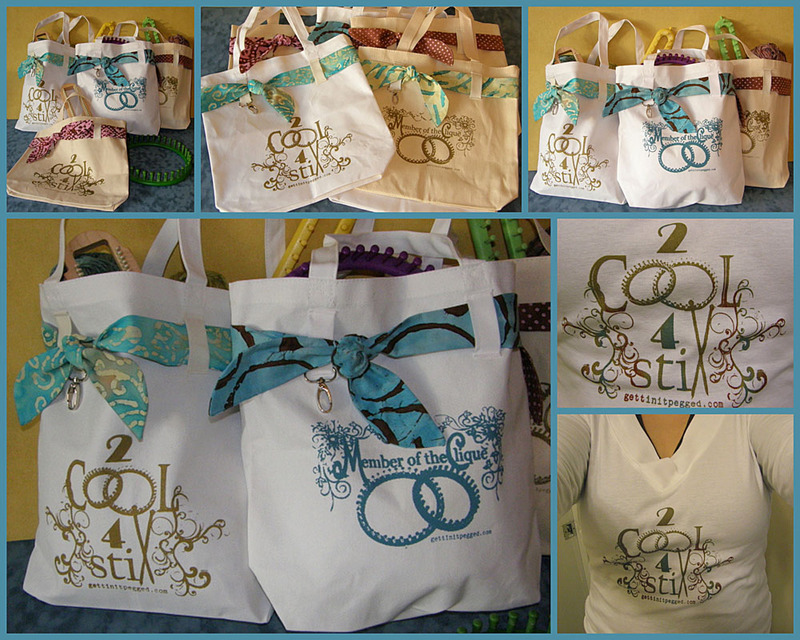 I love the 2 Cool 4 Stix totes … and the cloth belt makes them so unique, too! Love them and can’t wait to get mine!! Such a wonderful idea. 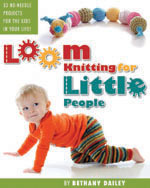 We need more items to show that loom knitting is a great craft and just as good if not better then needle knitting! I know they will be a huge hit! I like the baseball cap idea of cherrel and those totes are just adorable with that fabric tie – makes them more stylish and cute. I love the colors you’ve chosen too. I’m a bag-a-holic, so I love these bags. How do I become a part of the Chat Clique and Loom-A-Longs? Off the Loom is my blog. I am new to looming but love your designs especially the 2 Cool 4 Stix toes and tees. Will you have an Etsy shope? Stickers and decals. My mind is going crazy with all the places I could put them. The truck, the van, laptop, atv, sons car (oh probably not). Super cute! I would love the V-neck shirt in 2x! Are the belts in the bags interchangable? The gear is a great way to show pride in our wonderful craft!